For centuries, men of the sea have known the pleasures of fine Virginia tobaccos, pressed and aged with a drop of rum. The addition of rich dark fired Kentucky leaf brings a new dimension to the flavour and aroma of this timeless combination. 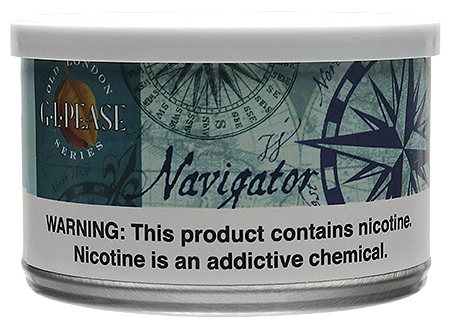 Chart your course for a new world of enjoyment, light a bowl, and set sail with Navigator.